Kay Bojesen’s wooden monkey, circa 1951, is an iconic Scandinavian design. 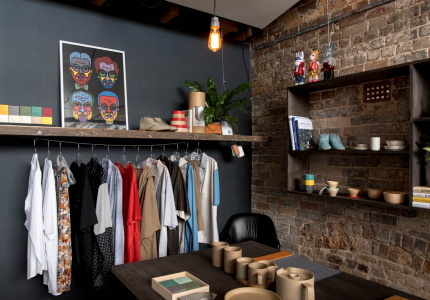 You’ll find this cute toy monkey hanging from the shelves throughout Great Dane’s Paddington showroom, which it moved into in 2018 after 15 years in Redfern. 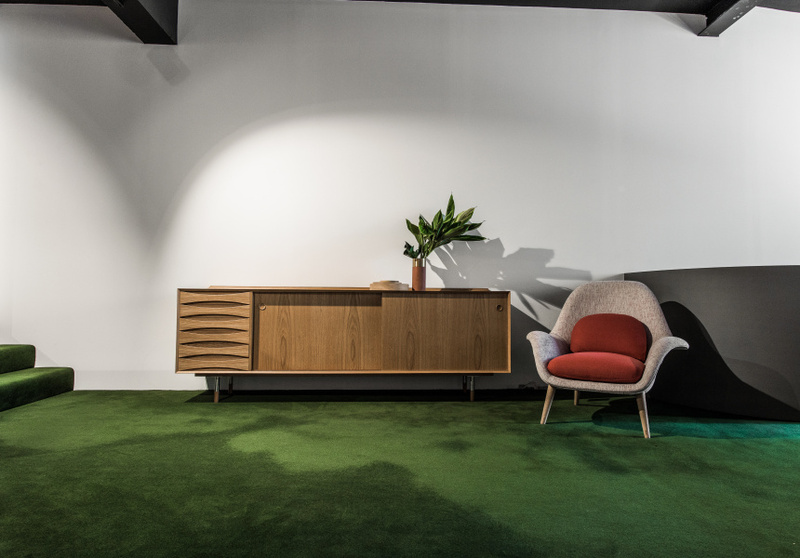 Designed in collaboration with Nicky Lobo, a one-time editor of design magazine and website Habitus, the space takes its visitors on “a voyage through the forest” – transporting them from the bustle of Oxford Street to the woodlands of Scandinavia. This journey begins on the forest (ground) floor, among rich, green-carpeted floors and wood and tan leather furnishings. From here the design winds its way up a carpeted staircase detailed with a magnificent hand-wrapped leather balustrade that took five days and 150 metres of leather to execute, and into the airy canopy of the first floor. Here the walls and floors are white and reindeer-hide rugs from Lapland carpet the floors. 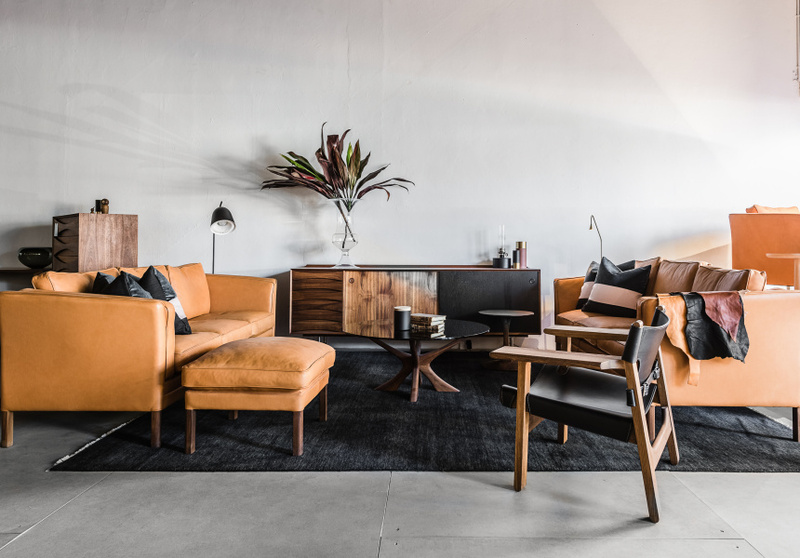 A Illum Wikkelso four-seater sofa is adorned with multi-textured, handmade Great Dane cushions, and Borge Mogensen’s Spanish Chair, an icon of mid-century design, has been reimagined in honour of its 60th-anniversary year. 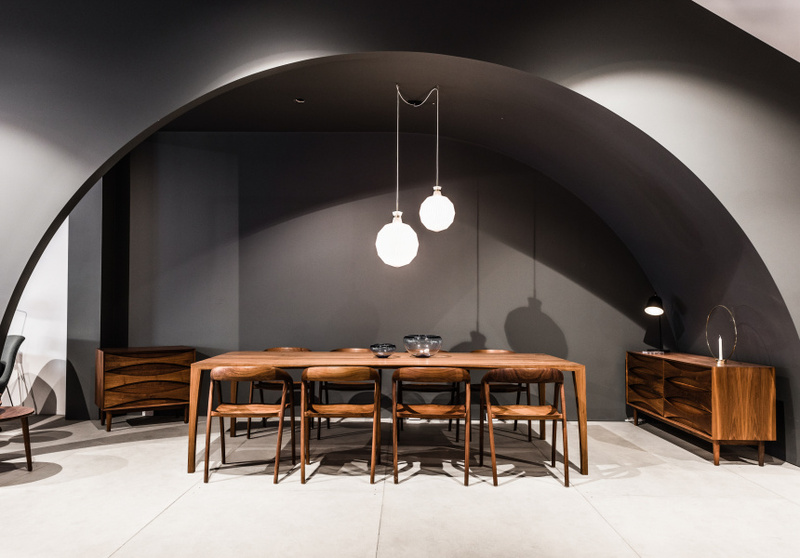 Every detail of the showroom is curated, from the music played in-store, to the lighting, the considered window displays and the signature scent intended to stir nostalgia for European woodlands.